Repairing your eaves trough can not only be time consuming and dangerous but if you don’t have the correct tools it can also become quite costly. 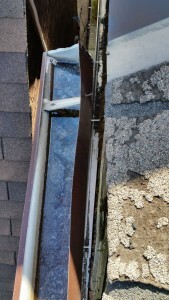 In Toronto and the GTA eaves trough repair is one job best left to the professionals. 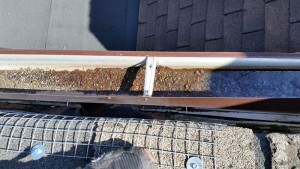 At Solid Eavestrough we have just the qualified service representatives you need to make your eaves trough repairs and eaves trough cleaning quick and easy. Does your home need eaves repair? Eaves guide rainwater and melting ice and snow to run down your downspout rather than fall directly off the side of your roof and down your walls. Blocked, twisted and broken eaves troughs do not work properly. Leaking water can cause untold damage and costly repairs. At Solid Eavestrough with our expert Toronto eaves trough repair service we can help you avoid all of the unnecessary heartache. Most leakage caused by gutter problems occurs under the lip of the roof where the eaves trough is attached. These leaks can run into the house and down the wall into the lower stories. In the Toronto area call Solid Eavestrough Toronto repair service to expertly repair your eaves and protect your possessions. In the span of a year Toronto receives every kind of weather imaginable. This weathering takes a huge toll on your home, roof, and gutters. Proper water drainage throughout the year is a vital part of maintaining your home’s structural integrity and visual appeal. Blocked and broken gutters can cause; metal rust, wood rot and foundation concerns. Repairing your own gutters can be a daunting task. 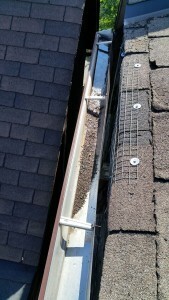 At Solid Eavestrough we can help alleviate your gutter problems with our Gutter repair service, Toronto and GTA wide. Let the professionals at Solid Eavestrough Toronto; repair, install, clean, replace or reattach your gutters. 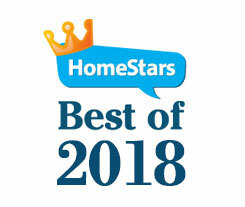 We can keep your home both safe and beautiful. One of the foremost problems with faulty eaves troughs is that you usually don’t notice the problem until it is too late. What may seem like a small leak over the side of your gutter can lead to rotting eaves, damaged soffits, broken downspouts, and even erosion or leakage to your foundation. Leaving damaged eaves troughs unrepaired can negatively affect your landscaping as well as the terrain around the house. 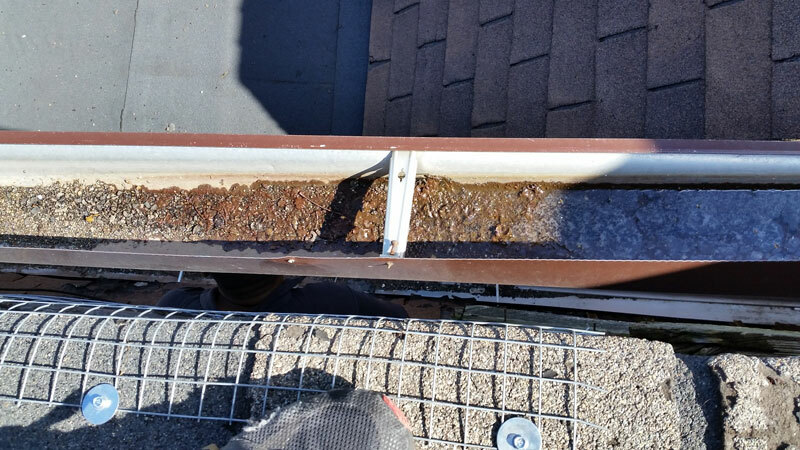 Trust the professionals at Solid Eavestrough trough repair Toronto to put your fears at ease by repairing your broken gutters. 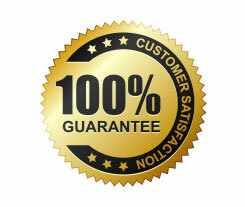 We will make sure that the repair is done right the first time. You can spend hours searching for the cause of the problem and then who knows how much longer to attempt to correct them. Any number of problems could be causing that pesky leak. If you don’t have the proper tools, expertise and materials to repair it, then it can become quite a costly incident. Whether your eaves troughs haven’t been cleaned for years and are clogged or that they are no longer flush with the edge of the roof or that they are beyond repair and need to be replaced, the friendly representatives at Solid Eavestrough can resolve your concerns. We have the experience and tools to be able to fix whatever problem it is that you may incur. Solid Eavestrough can help you avoid all of the headaches associated with them. Toronto averages almost 4 feet of rain and 6 and half feet of snow each year. 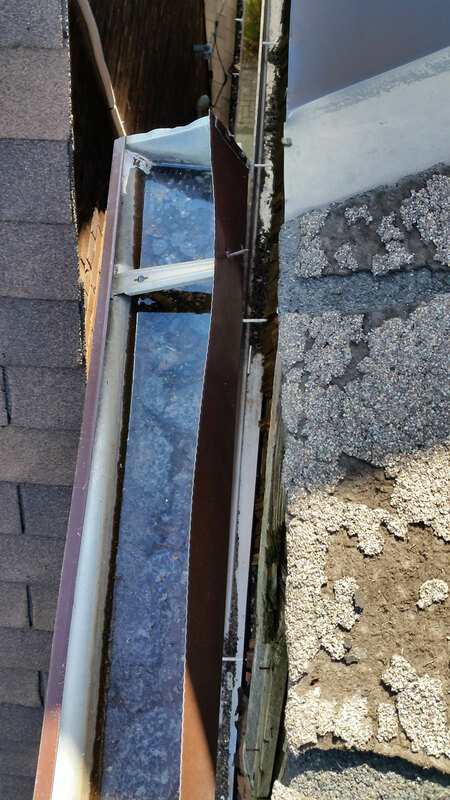 Given these types of conditions even a small hole caused by rust or rot or an improperly sealed joint or gap in your gutters can cause major water damage. At Solid Eavestrough we can help you diagnose your problem with the help of our Toronto office experts we can help you come up with a solution that is right for your home. Solid Eavestrough is ready to help with an array of solutions; gutter repair, gutter replacement, gutter installation and gutter cleaning, just to mention a few. So look to Solid Eavestrough repair Toronto and GTA for trustworthy, friendly and punctual gutter services be sure to call the professionals at Solid Eavestrough at (647) 717-1127, speak to Yaron or Adena.